Earners are able to clean, simplify and work with large data sets in Excel to build models, analyze data, draw conclusions and make recommendations. They have demonstrated the ability to prepare and deliver data-based presentations that are catered to a specific audience. They understand the implications of using data and how data analysis can help organizations make better strategic decisions. They have demonstrated interpersonal and analytical skills that will provide value in the workplace. 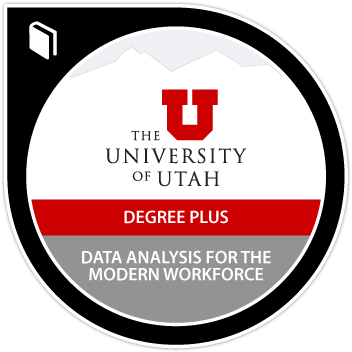 Complete a capstone project utilizing data analysis in excel, statistics, data visualization and communication skills.